Lavish your skin with exquisite organically grown botanicals: pomegranate, borage, seabuckthorn, white tea, carrot seed, and rose geranium—a serum in cream form. Rich and intensive, yet fast absorbing, and leaves skin dewy, soft, and plump with locked-in moisture. 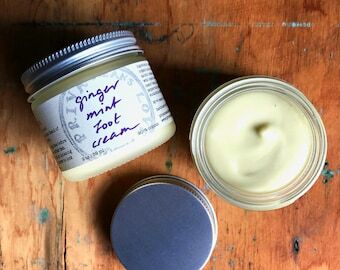 Over time, this cream refines the texture of skin, smoothing and evening out skin tone, resulting in naturally lustrous, radiant, healthy skin. 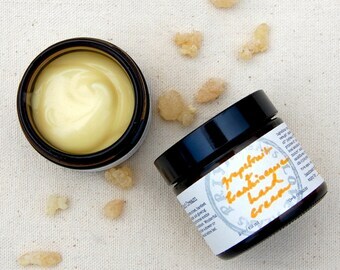 The botanicals in this cream brim with beneficial phytochemicals: unusual essential fatty acids that help skin maintain a strong and supple barrier to the outside world; phytosterols that reduce redness and tone skin; humectants that draw moisture to the skin; and polyphenols and other antioxidants that scavenge free radicals associated with collagen destruction. For more information on these remarkable ingredients, and on the way I formulated this cream, see below. Deep Radiance is formulated to benefit all skin types, from sensitive to dry to oily to mature. Those with very oily skin should apply this sebum-balancing cream sparingly, perhaps using only as a nighttime treatment. Directions: Cleanse and tone skin. 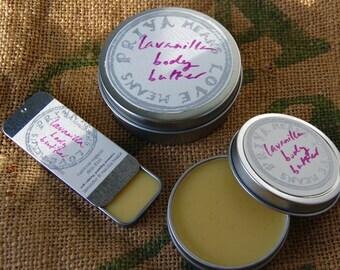 Dot with very small amounts of this concentrated cream, and gently smooth into skin using upward strokes. A little goes a long way, so start with less than you would think. Applied morning and night, this size jar of cream will last four to six months! Scent: hypnotic rose geranium with tealike, saffron-like base notes. does not linger on too long. Ingredients: organic white tea extract (water, organic grain alcohol, organic vegetable glycerin, organic white tea leaves), organic aloe vera gel, organic borage oil, grapeseed oil, organic meadowfoam seed oil, organic babassu oil, organic nilotica shea butter, golden beeswax, organic pomegranate oil, organic lavender hydrosol, organic vegetable glycerin, organic rosemary oleoresin, organic seabuckthorn berry co2 extract, lanolin, and organic essential oils. I love this cream, my pride and joy, the result of lots of experimentation and many months of formulation and testing on myself, friends, and family. As with all of my products, this cream is truly purist all natural. Of course there are no petroleum derivatives, synthetic fragrances, parabens or formaldehyde-releasers - but I also go without synthetic preservatives and highly-processed vegetable emulsifying wax, both of which are very common in otherwise all-natural moisturizers. A great deal of thought, care, and experimentation went into creating this naturally self-preserving, truly all-natural emulsion! 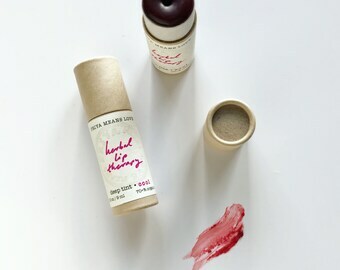 The result is a gorgeous cream in which every single ingredient is pure, honest, and amazing for the skin. And oh, what ingredients they are. I packed this cream with my ingredient obsessions, ingredients that work wonders for skin health and have a soft, light, silky skinfeel. Every ingredient counts - this is a serum in cream form. Deep Radiance smells delightful and is a pleasure to use, leaving skin soft, dewy, and well-hydrated. Over time the botanicals work their magic, leaving skin smoother with a more even tone. Skin develops the natural luster and radiance that come with health. *organic pomegranate oil - the same ingredient I use in my Pomegranate Eye Serum (www.etsy.com—pomegranate-eye-serum-an-intensive) <http://www.etsy.com/listing/63908895/pomegranate-eye-serum-an-intensive)> for its amazing qualities. powerful and gentle, there is no better skincare botanical than pomegranate. regenerating, evening, toning, and elasticity-supporting. *organic carrot seed essential oil - smoothing and refining. I think of this as the essential oil for skin texture. *grapeseed oil (expeller pressed, not extracted with the solvent hexane) - lightweight, fast absorbing, and packed with omega-6 fatty acids to help skin maintain a strong, supple barrier to the outside world. *organic seabuckthorn co2 extract - a wonderful ingredient for environmentally damaged skin. the free-radical scavenging carotenes in seabuckthorn lend this cream its rich color. This lotion is amazing. I had extra dry skin after having a baby. This got my skin back to normal when nothing else would. Thanks! 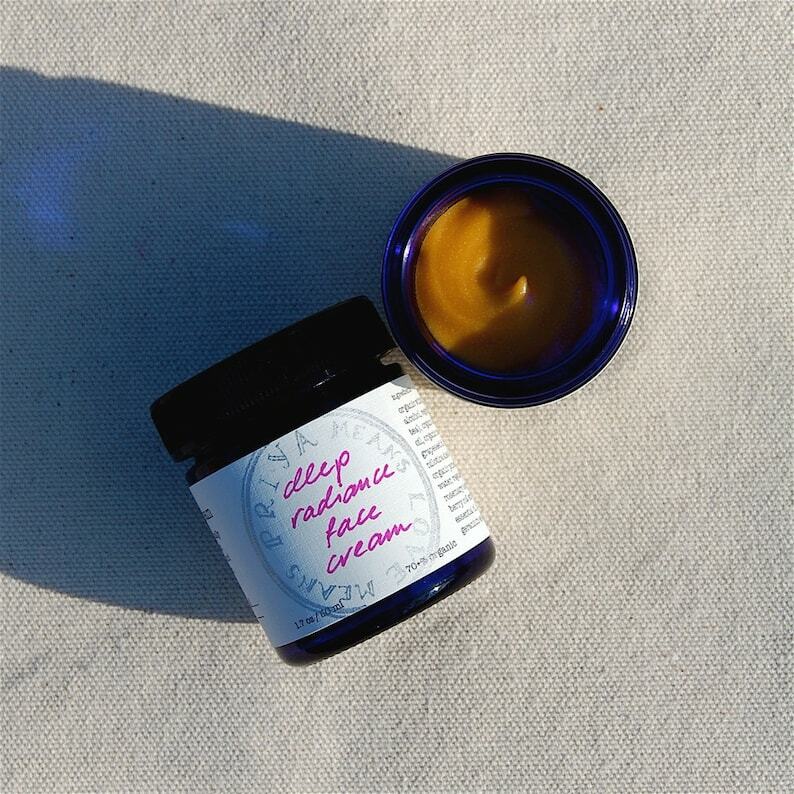 Super face cream, a real treat for the skin. 100% recommend.